Hello from a little bird! Block printed by hand on recycled paper. Tweet in a way more personal way – write a note and send it to a friend via the pony express! The hello bird wants to help you stay in touch. 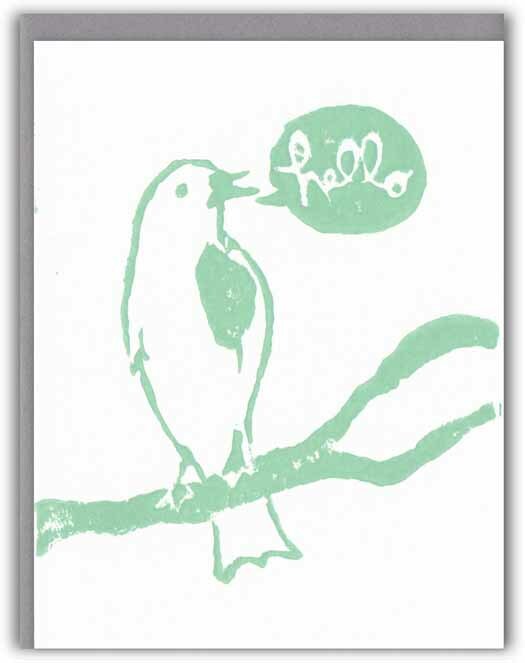 Hello bird greeting card is 5.5″ x 4.25″, envelope 5.75″ x 4.375″. Greeting card interior is blank. Block printed by hand on recycled paper.